The photo-etched sets will best be attempted by the experienced modeler, but the results will be stunning given equal applications of skill and patience. 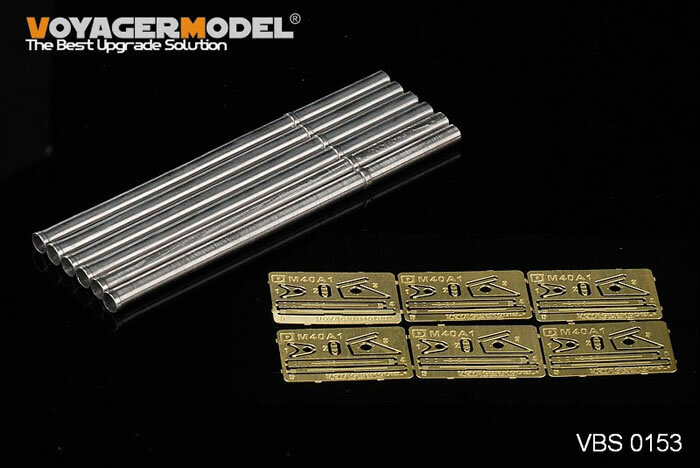 Voyager Model from Shanghai keep up their prolific monthly release schedule with another 13 new update sets in 1:35 scale. The most unusual sets in this batch provide steel and brass bumpers for German WWII railway rolling stock and locomotives. The first set, PEA 214, is a generic offering with the bumpers plus two hooks. 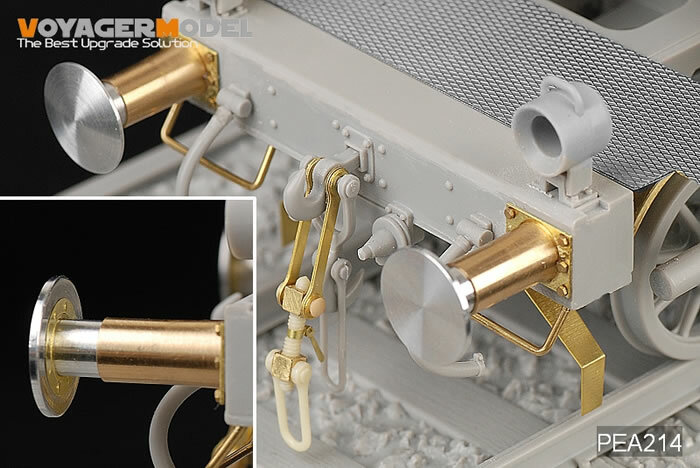 The second is specifically for the Trumpeter 1:35 scale BP-42 Geschutzwagen, and includes a wealth of photo-etched detail for that kit, plus 96 tiny but gorgeous individual turned hex bolts. Five of this month’s sets are destined for Dragon’s early version 1:35 scale Tiger I kits. Three are different styles of stowage bins, while the two other sets are comprehensive upgrades that include turned brass smoke dischargers, barrel cleaners, copper wire for tow cables and resin wheel mounts. The Afrika Korps Tiger set also supplies a whopping twelve frets of photo-etch, with seven included in the Initial Production set. 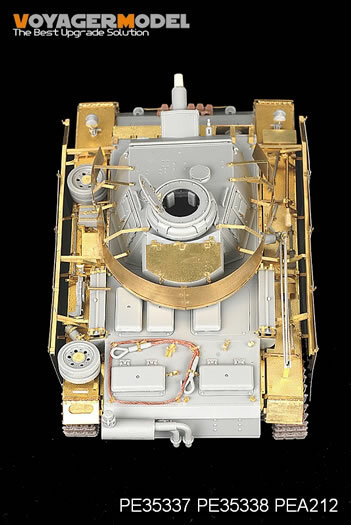 Academy’s new 1:35 Ontos has not escaped Voyager’s attention either, with the choice of a single M40A1 106mm barrel in turned metal with photo-etched details, or a full compliment of six. 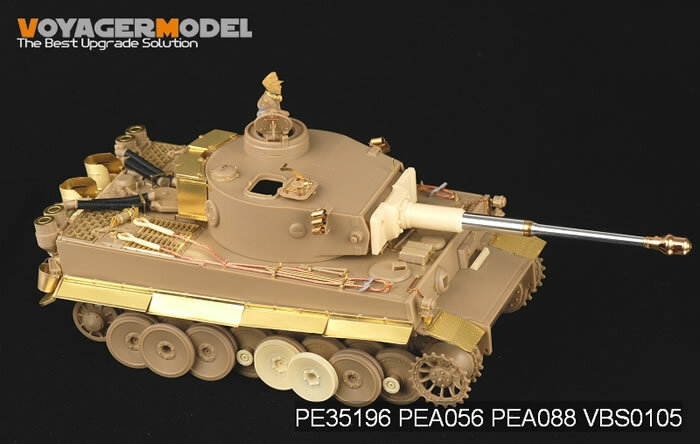 New detail sets are also available for the Dragon Panzer III / StuG.III Ausf. 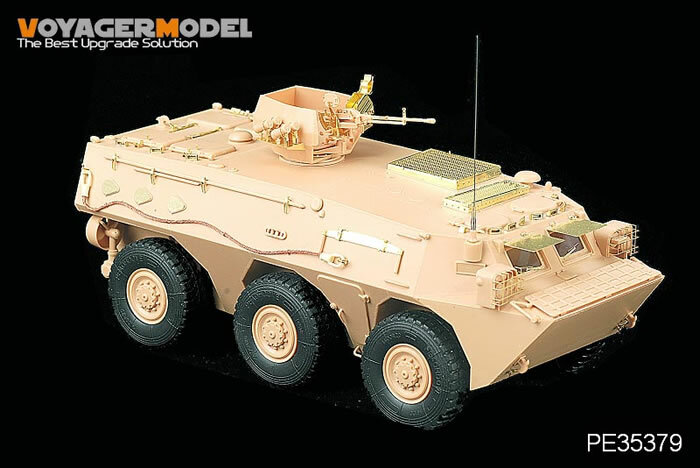 F8 and Hobby Boss Chinese PLA ZSL-92A APC. The photo-etched sets will best be attempted by the experienced modeler, but the results will be stunning given appropriate applications of skill and patience. All Highly Recommended to experienced modellers.